You probably didn't move to Oak Hill for auto insurance savings, but affordable auto coverage is just one added perk residents can enjoy living here. That goes double if you can take advantage of common rate discounts from Nationwide. But just like the vehicle itself, even the cheapest prices don't make for a solid purchase if the insurance coverage doesn't protect you and your family. Whether you make a long commute every day or you tend to stay closer to home, talk to one of our Oak Hill auto insurance agents about selecting the best coverage for your policy. 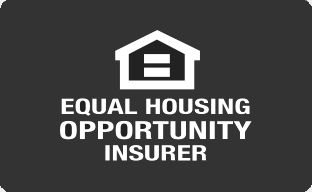 In a city like Oak Hill, it's not just peoples homes that need insuring. It's their entire property. It could be valuables inside the home. It could be a secondary building hardware supplies or a permanent landscaping feature. Given these property features and a wide perimeter that is hard to keep secure, liability coverage is also popular with many homeowners. Or, maybe you're in an older home with possessions you really depend on, and you've heard about Nationwide's Brand New Belongings® or Better Roof Replacement® programs. Talk to one of our Oak Hill home insurance agents if you have questions. For early family planning and caring for loved ones in the face of unexpected tragedy, there's term insurance with different claim amounts and long-term care riders. But what about permanent insurance policies—whole, universal, and variable life insurance? You probably did more than throw a dart at the map when choosing to live in Oak Hill. Do the same with your life insurance. Explore your options with our quote calculator and don't hesitate to contact one of our Oak Hill life insurance agents about your policy. Even in a smaller city like Oak Hill, businesses face a combination of natural and manmade disasters, plus endless everyday hazards. Liability, property, vehicle, medical, and operating loss coverage can all be tailored for a consumer business, or any number of local-area companies. Talk to one of our Oak Hill business insurance agents about what Nationwide commercial insurance has to offer your company.